Today marks the 10th anniversary of The Spy Command. It has been a long journey. Initially, the blog was a spinoff of a website (Her Majesty’s Secret Servant) that’s no longer online. It took a few months for the blog to find its own voice, its own point of view. Yet it did. The blog’s main reason for being has been to apply some journalistic principles to a fan endeavor. The blog is a hobby. But it also keeps track of what has been said and revisits whether that’s occurred. Some James Bond fans don’t like that. They want to celebrate all things 007. If there have been inconsistencies, they don’t care. That’s fine. There are plenty of sites on the internet. But here, the basic idea is to keep track of what is happening now while providing context of how it compares with the past. One example: What really happened with the script of Quantum of Solace? 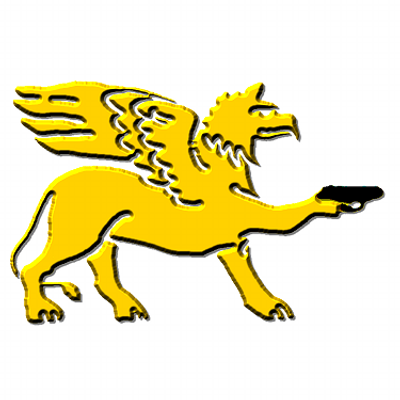 which examined various contradictory accounts of how the 22nd James Bond film came together. Zetumer was the scribe who was doing rewrites during filming. His contributions were noted in stories published while the movie was in production. Examples include a story on the Rotten Tomatoes website as well as pieces on the MI6 James Bond website and the Commander Bond website. However, Zetumer’s is a forgotten man these days. That’s because of later stories quoting Daniel Craig how he and Quantum director Marc Forster rewrote the movie during production. When the legend becomes fact, print the legend, I suppose. Another example: A 2015 post, A SPECTRE reality check, noted how, in 2012, Eon said the SPECTRE organization was passe and that Quantum was much better than SPECTRE in the 21st century. All that changed, of course, once the rights to SPECTRE were secured from the Kevin McClory estate in 2013. Finally, more recently, the blog documented (so far) the writing process of Bond 25 complete with various contradictions. Paul Baack (1957-2017) and the Spy Commander in 2013. The blog was the idea of Paul Baack (1957-2017), one of the co-founders of Her Majesty’s Secret Servant. He wanted HMSS to have a presence in between issues of the “e-magazine,” which specialized in producing magazine-length stories on James Bond and related topics. Paul informed HMSS contributors about the blog and said it was all of theirs. I was the one who took him up on it. Initially, I was skeptical. But, after a few posts, I got hooked. It was an outlet that quickly became one of my main hobbies. Over time, I took it over. By 2009, I was the primary contributor. By 2011, the blog established its own voice separate from HMSS. By 2014, the blog was totally on its own after HMSS went offline. On Feb. 8, 2015, the blog took the new name, The Spy Command. So much different. Yet so much the same. Since its debut, there have been three James Bond films released (Quantum of Solace, Skyfall and SPECTRE); three Tom Cruise Mission: Impossible films; and a movie version of The Man From U.N.C.L.E. (which I long thought would never happen). The blog tries on occasion to get into the business side of the entertainment industry. One of my personal favorite series of posts was a three-part series about the involvement of Film Finances Inc. with Dr. No. Film Finances supplies “completion” bonds to ensure movies can finish production. The company ended up taking control of Dr. No during post production. It’s an episode that hasn’t been written much outside of a book Film Finances published about its work with Dr. No, which reproduced many documents. One example was a memo showing Dr. No fell a half-day behind schedule on its first day. Some other personal favorite posts include those about scripts for Bond movies. In some cases, like this 2015 post about You Only Live Twice, dealt with drafts similar to the final film with a few significant differences. Others, like this 2017 post about a Bond 17 treatment dealt with stories that never saw the light of day. 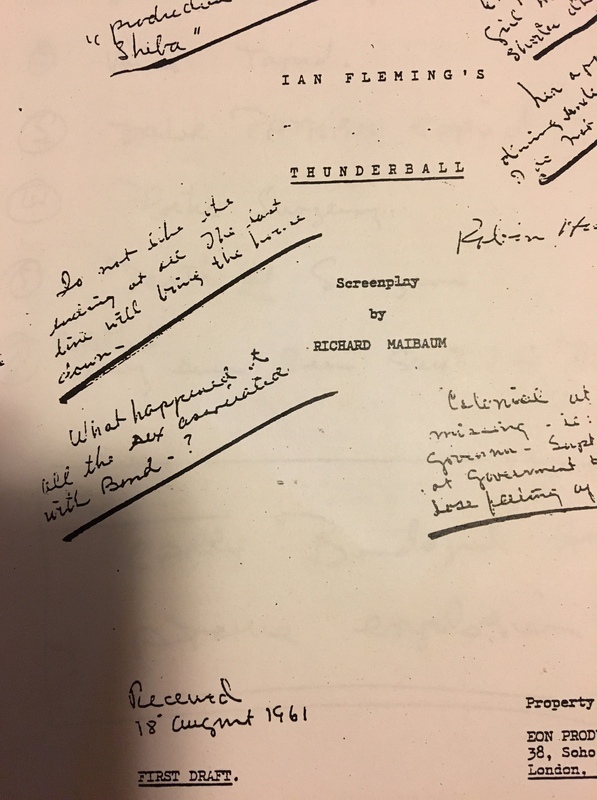 Perhaps the most enjoyable was an examination of three Thunderball scripts, including Jack Whittingham’s first draft in 1960 and Richard Maibaum’s first try in 1961. 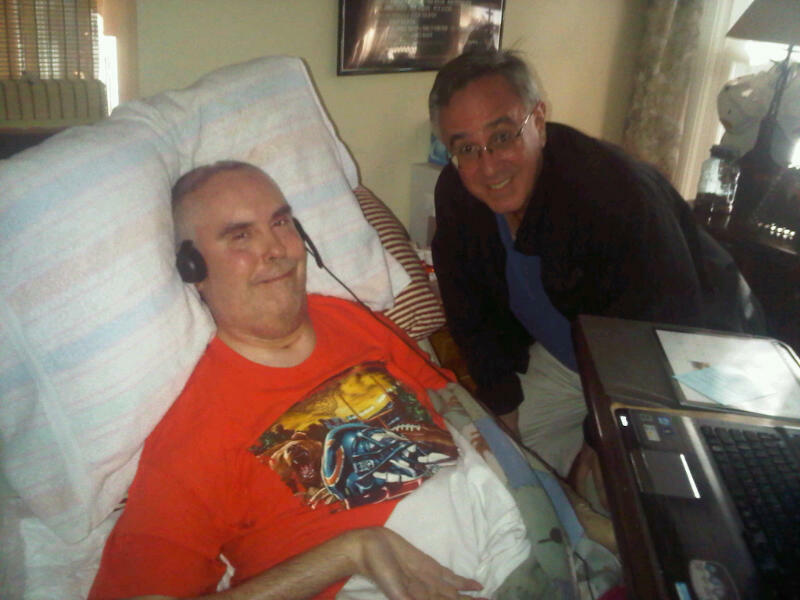 On this 10th anniversary, my thoughts keep going back to Paul Baack, who died last year. Last month was what would have been his 61st birthday. He gave me the chance to contribute. After I had taken over, he always provided encouragement. If there is an after life, I hope Paul is pleased with the result. I’d also like to thank, one more time, J. Kingston Pierce’s Rap Sheet blog. The Rap Sheet had some kind words in 2009 about a series this blog did about Goldfinger’s 45th anniversary. That, and other feedback, indicated there was interest in what this blog was doing. Finally, two replies to posts were particularly satisfying. In 2013, the blog had a post about how the current Hawaii Five-0 series was remaking an episode of the original series titled Hookman. The post noted how a CBS press release left off the names of the original writers, Glen Olson and Rod Baker. The post raised the question whether they’d get a credit. Well, enough sentiment. Bond 25 and other spy entertainment topics are present to be analyzed and written about.